March 26, 2018, 11:28 a.m.
By Christine Schmidt @newsbyschmidt March 26, 2018, 11:28 a.m.
Getting someone to click over to an article on your website is one thing. Getting them to click on another story once they get there? That’s harder. As social media has grown more dominant as a content discovery tool, news sites’ bounce rates — one lonely pageview, then right back to Facebook or Twitter or wherever — have remained stubbornly high. And as publishers shift their audience models toward loyalty and away from fly-by traffic, getting that second (and third, and fourth) click has grown even more important. Vox Media’s product team has built a new template they think will help connect readers to related stories. 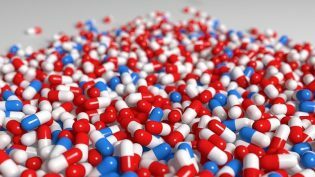 And they’re seeing positive signs, including increased pageviews on story packages built with it. Grouping related stories together isn’t new, but Vox Media spent months developing this template with an emphasis on presenting related stories in a cleaner, more context-focused way, which also happens to be a way that drives more recirculation within the site. The product team took on the project in July and over the past few months has been rolling out the template for packages across the brands, starting with Recode’s annual end-of-year Recode 100 people list and recently with Polygon’s guide for the Monster Hunter: The World game. “A package is a collection of related stories. 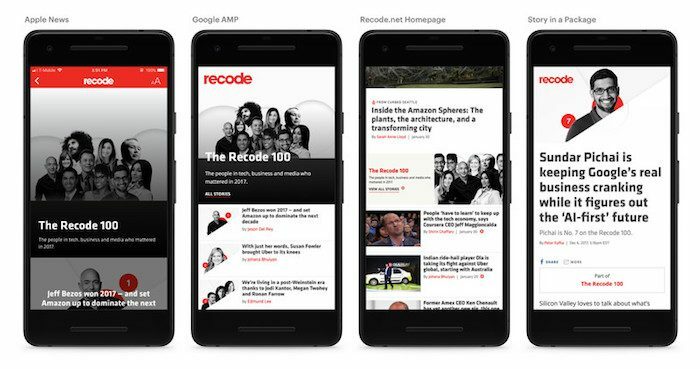 Those related stories could be articles, features, could be any sort of individual page,” explained Sanette Tanaka Sloan, a senior designer on Vox Media’s product team. “They’re united by the landing page — that’s the homepage of a package. It can have links to all the stories that are in a package. A lot of our users don’t even come through that page. They come directly to the package stories themselves. What we wanted to do with that page was provide a route for people to get to stories as quickly as possible.” The landing page also exists for SEO and for reporters to have something to share, she added. 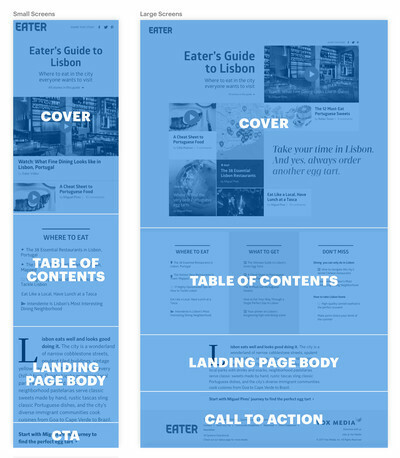 A package’s landing page houses a visually appealing cover, a list of links to all the stories in the package, a short introduction to and context around the topic, and lastly a prominent button to prompt readers to enter the first story in a package. Those are the main components, but they can be emphasized or softened based on the needs of the site (like increasing story density for Curbed or visuals for Vox Creative). Are news organizations refocusing on their own sites rather than social media platforms after Facebook’s news feed changes? While some orgs were busy pivoting to Facebook’s money/algorithm last year, Vox Media reaffirmed that they wouldn’t. And in a world where Facebook sends publishers less traffic than it used to, investing in story-to-story recirculation makes a lot of sense. For Recode 100, the average pageviews per session was high compared to our other Recode content (2.4 pageviews for package stories vs. 1.2 pageviews for articles). This means users on package stories consumed one page more than users on our standard article stories. In addition, users on package stories were more likely to scroll halfway down the screen. Not every stat was rosy. Time spent per page was lower than on our articles (folks spent 1 minute, 43 minutes, on average, on package stories, compared to 4 minutes on articles). In fairness, the Recode 100 stories tended to be short, which may have contributed to the less time spent. POSTED March 26, 2018, 11:28 a.m.
Schmidt, Christine. "Recirculate! Vox Media’s new structure for story packages gives readers context (and helps them stick around)." Nieman Journalism Lab. Nieman Foundation for Journalism at Harvard, 26 Mar. 2018. Web. 23 Apr. 2019. Schmidt, Christine. "Recirculate! Vox Media’s new structure for story packages gives readers context (and helps them stick around)." Nieman Journalism Lab. Last modified March 26, 2018. 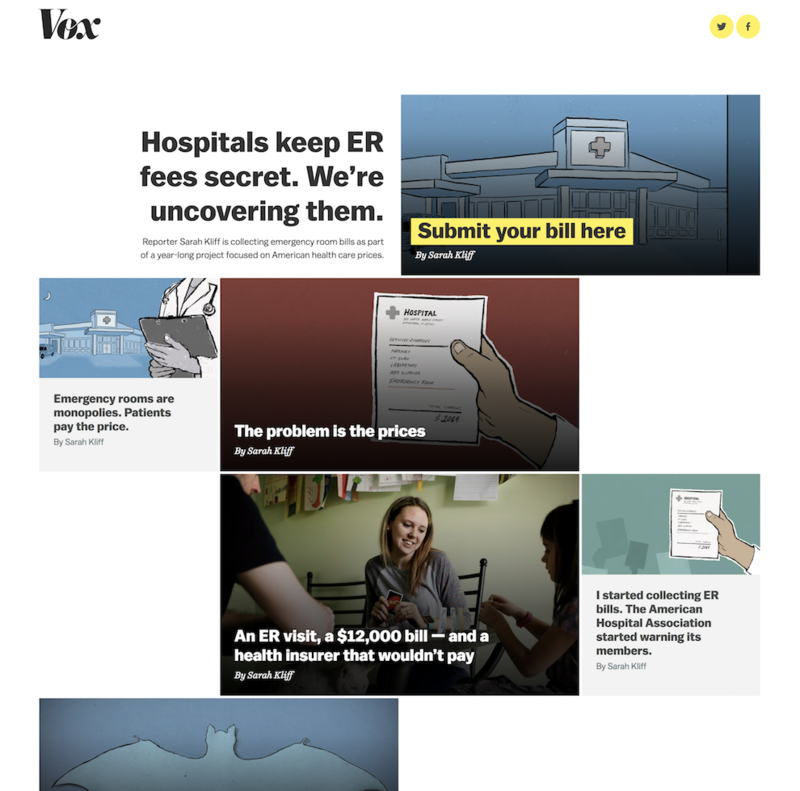 Accessed April 23, 2019. https://www.niemanlab.org/2018/03/recirculate-vox-medias-new-structure-for-story-packages-gives-readers-context-and-helps-them-stick-around/.